This article was also written with the help of Brady Miller. Synthetic clothing, hand warmers, stoves, rangefinders, tripods, optics, solar chargers, GPS—the hunter’s pack is ever evolving. Relatively new to the scene are camera adapters specifically designed for digiscoping. 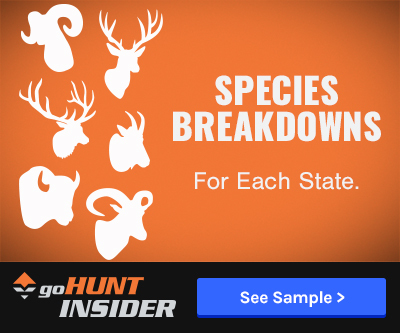 These adapters are available in all shapes and sizes and an adapter for your cell phone, video cameras, and point and shoot cameras is becoming a must add to any western hunter’s pack. Digiscoping is becoming a new art in and of itself. 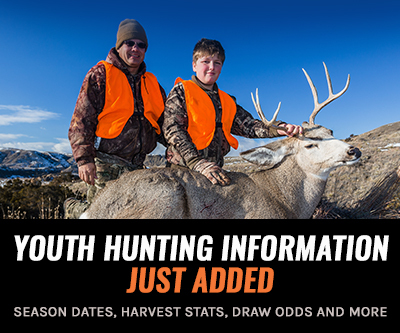 Capturing memories has always been an important part of the hunt, but never before have we had this number of tools available. 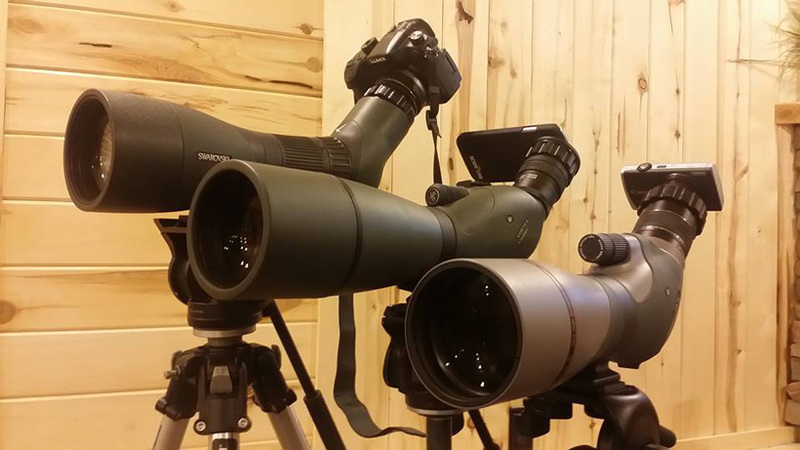 Below we will examine some of the digiscoping options available and the cost of each system. used for your harvest photos. more room in the pack. There are a number of companies out there that offer digiscoping systems. With improvements in cell phone camera technology, cell phone options are becoming more and more appealing. New cell phone cameras are capable of capturing 4K video. 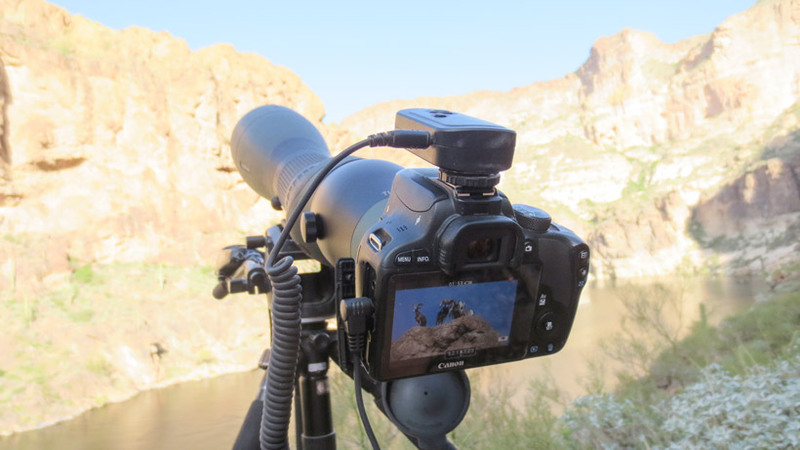 The newest developments in digiscoping have been with the advent of adapters for DSLR cameras, allowing users to capture 18 plus megapixel photos and 1080p and even 4K videos! Yet, it’s important to consider weight, function, and footage quality when looking at these options. Beyond the digiscoping adapter and optic, remember that no matter the tools, shaky footage is never any good. A quality tripod is a vital piece of equipment. In picking companies to feature in this article we sought those that first responded to our inquiry about their products and, secondly, offered videos taken with their various products to feature in the article. 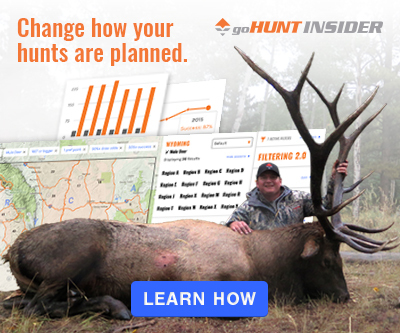 The companies selected were Tines Up, Phone Skope, The Outdoorsmans, and Swarovski. Information on how to reach these companies is available in each of the sections below. The use of cellphones to capture images through optics has become very popular. The camera technology associated with modern smartphones has made phone digiscoping a viable option for a broad spectrum of uses. Below is a table with some of the most popular cell phones and some notes on the camera capabilities of each. Whenever you are up for your next cell phone upgrade, image quality may play a role in your decision! Photo courtesy of Tines Up. 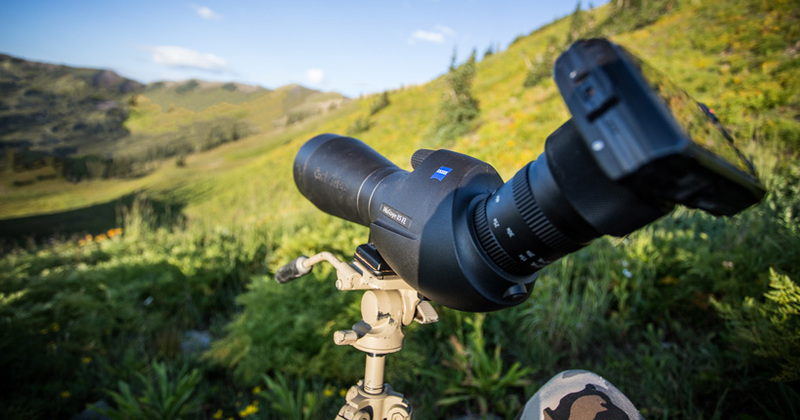 Tines Up offers a number of digiscoping options. Tines Up adapter kits can be used with a wide variety of cameras and also offers a cell phone adapter kit that works with most model phones and a number of optics. Most of the Tines Up adapter options are made of a machined aluminum. The phone adapter kit consists of a molded plastic case for the phone, which then adapts to the aluminum optic adapter (they also offer a case adapter ring for their cell phone kits). Adapter rings can be purchased for a wide array of optics or you can take measurements of your optic to get an adapter custom machined. The number of options here are endless! Below are a sample of their most popular setups. Phone Skope offers adapter systems for most phones and optic systems. Phone Skope products are constructed out of a durable molded plastic and cases are molded specifically to whichever model phone you have (as well as whatever case you have on your phone). These adapters are case and phone specific. Adapter rings are available for most optics (there are a lot of options!) A nice part about Phone Skope is you can purchase a Bluetooth enabled shutter remote to help eliminate shaky photos. Full Phone Skope kit, case only and adapter can be purchased here. Video courtesy of Cheston Davis of Phone Skope. 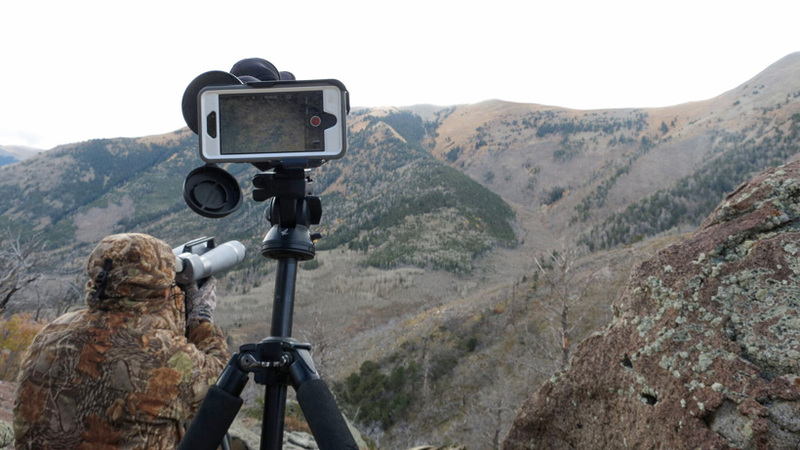 Outdoorsmans offers a cell phone digiscoping system made out of machined aluminum. This durable system is designed to work on any phone. The adapter rings are available in sizes ranging from 42 to 60 mm (covering most optic systems). The durable construction and ability to switch the adapter to any phone make this a desirable system. Full Outdoorsmans digiscoping kit can be purchased here. This Swarovski system utilizes a 30mm camera lens that is designed to be mounted to a DSLR camera. This system is compatible with Swarovski ATX/STX and STR 80 spotting scopes. Image quality is extremely good with with this setup. This is the most expensive option we have found for digiscoping. The setup is available at B&H Photo. Below is a table that summarizes the cost of each of the systems outlined above. There are some pros and cons associated with each system. We suggest trying several of these systems and finding which works best for you. In the end, it may be necessary to have two systems in your pack to cover all of the situations that you may encounter. Regardless of your choice, these are some great companies that stand firmly behind their products.